Back in February I took a look at the Jawbone UP fitness tracking bracelet, and I was very impressed. I still use it to this day, although not as much as I probably should. In the review I mentioned the FitBit Flex. Since then, many people people have asked if I’ve tried FitBit’s offering and what I think of it compared to the UP. Well, over the past couple of months I’ve been using the Flex and I’m ready to give you my thoughts. The FitBit Flex is made from silicon and comes in a variety of colours. It’s very unassuming on your wrist. It won’t jump out and command a lot of attention, and for a lot of people that’s a good thing. It’s also very lightweight. The front features a small plastic “window” for better terms that allows the little lights on the tracker to shine through. I’ll get back to those in a minute. The back of the band has an opening, and that’s where the tracker fits in. Now because it’s easy to remove the tracker, it’s easy for people to switch bands if it breaks or if they’ re in the mood to wear a different colour. You don’t have to go buy a whole new Flex system, you can just buy different colour bands. This is a huge plus for people that like to coordinate colours with their outfits, or if you just get tired of the colour. The band features a couple of prongs that you fit into the holes to keep the Flex on your wrist. For the first week or so this was one of my frustrations. It was very tough to get it on. But after a while, the holes started to get a little more worn and flexible, making it much easier to put it on. It’s very secure, and at no point have I ever worried about it falling off. Another nice selling feature of the Flex is you don’t have to know your wrist size before buying one. The package includes both a small and large band. You can try them both to make sure you get that perfect fit. The tracker itself is really small, and as I said, slips into the band on the back. Unfortunately, this is that part you have to charge. That means you have to take it out, and plug it into the provided charging cable. While it’s in there fairly secure, there have been a couple of times I’ve gone to put it back into the band, and the tracker has popped out of the charger and fallen onto the ground. It’s not a huge issue, but something to be aware of. The tracker itself monitors your steps. It also features five little LED lights which are primarily used as a quick glance to see your progress towards your set goals. Each light represents 20% of the goal achieved. When you reach 100%, the Flex will vibrate to let you know. Since there are no buttons on the FitBit Flex, to see your goal progress, all you do is double tap the tracker and the lights will show you how you’re doing. Along with your activity, it’ll track your sleep. To put it in sleep mode you can start the app on your mobile device or tap the flex quickly for a second or two. It will vibrate and show you a couple of dimming lights. To wake it up, again tap it quickly for a second or two. The tracker is also water resistant. So you can leave it on even if you’re doing dishes or having a shower. But don’t expect it be working if you wear it while out for a swim. It’s not water proof. The FitBit app recently received an update which has really improved it. When you launch it you are given all your information on the front page. There is no having to search around for it and it’s fairly easy to navigate. Inputing your food can be a little tough at times, for the simple fact the food library isn’t as robust as say the Jawbone UP. Plus you don’t have the bar code scanning capability. However, as I said, the recent update has made things a lot more user friendly, and with further updates it could be even better. My biggest gripe with the FitBit Flex was the FitBit app at first. But it’s so much better now that it’s hard to find too much wrong with the Flex. 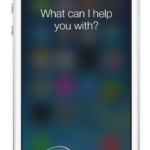 I’m still not a fan of the bluetooth syncing. I know it’s a huge plus for many, but as I’ve said in the Jawbone UP review and in the Flex video review, you start to understand your routines as you use the band more. Syncing to check your progress isn’t as important as many people might think when they’re considering what to buy. I like preserving my battery, although it is using bluetooth 4.0 which is good at preserving battery life. Plus, you have the quick glance LED’s which give you an indication of how well you’re doing. 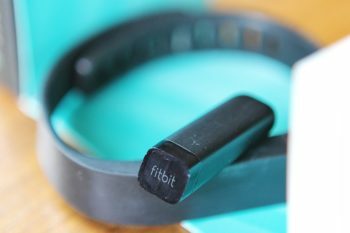 I should point out, FitBit now has its Force fitness bracelet. 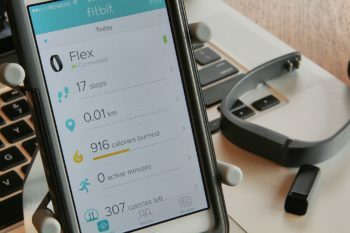 It’s an upgrade from the Flex and includes a little screen on the front which acts as a watch, and gives you a readout of calories, steps and such. So if having a visual representation of steps quickly is important, you’ll likely what to spend the extra money and pick up the FitBit Force. 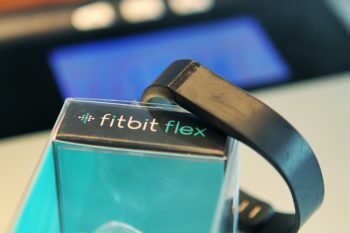 Let me know what you think of the FitBit Flex.